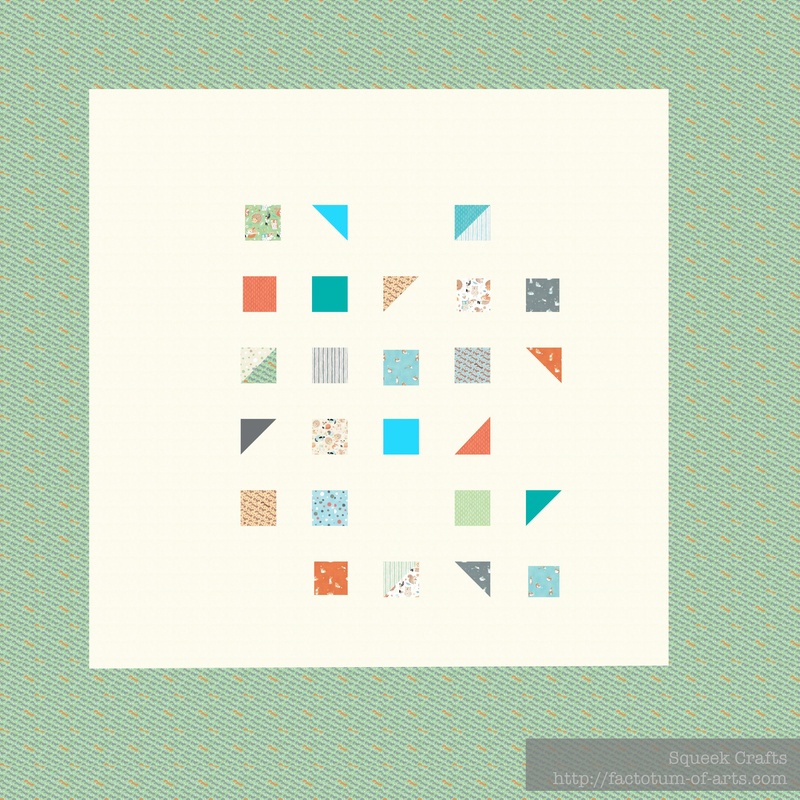 I am thoroughly enjoying Threadbias’ quilt designer tool at the moment. Here is my second quilt design “Natural Corridors” which I designed to by simple, minimal and asymmetric. The design is inspired from my ecology background…natural corridors exist connecting wildlife populations, these are essential for biodiversity but are rapidly decreasing. I am using this design as my entry for the Critter Patch (the fabric line in the design) Baby Quilt competition over at threadbias.com. You can check it out here, and while you are there have a go at using their designer tool. If anyone has tips on how to write-up a pattern, discuss what steps you should take, what not to do….. I would love to hear them. This entry was posted in Uncategorized and tagged Natural Corridors, quilt design, quilting, sewing, threadbias.com on September 25, 2013 by mlwilkie. I love the minimalist look of your pattern. I just created my first Threadbias design and entered it into the competition as well, so I don’t have pattern design advice. All I know is that after I thought I had my quilt set, I realized that many, many partial seams would be needed to get the design together, so I had to go back and break up many of the blocks into smaller pieces, thinking as I did each one about the order of piecing. Whew! Designing a workable pattern is harder than it looks!